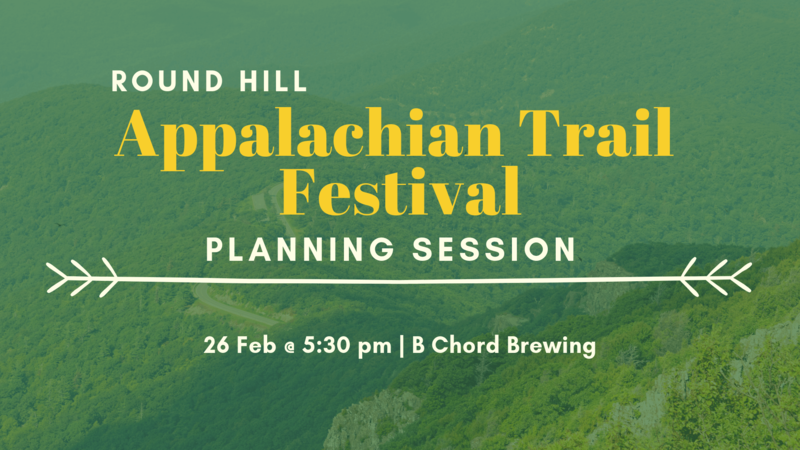 Want to help make the Round Hill Appalachian Trail Festival happen? We’d love to have your help. You can post ideas on the festival page (https://www.facebook.com/roundhillat/), send us links, share our posts, chair a committee…. You can also join us in person on Tuesday, February 26, at B Chord Brewing (future site of our fest) to talk about what comes next…please bring all ideas, big and small!